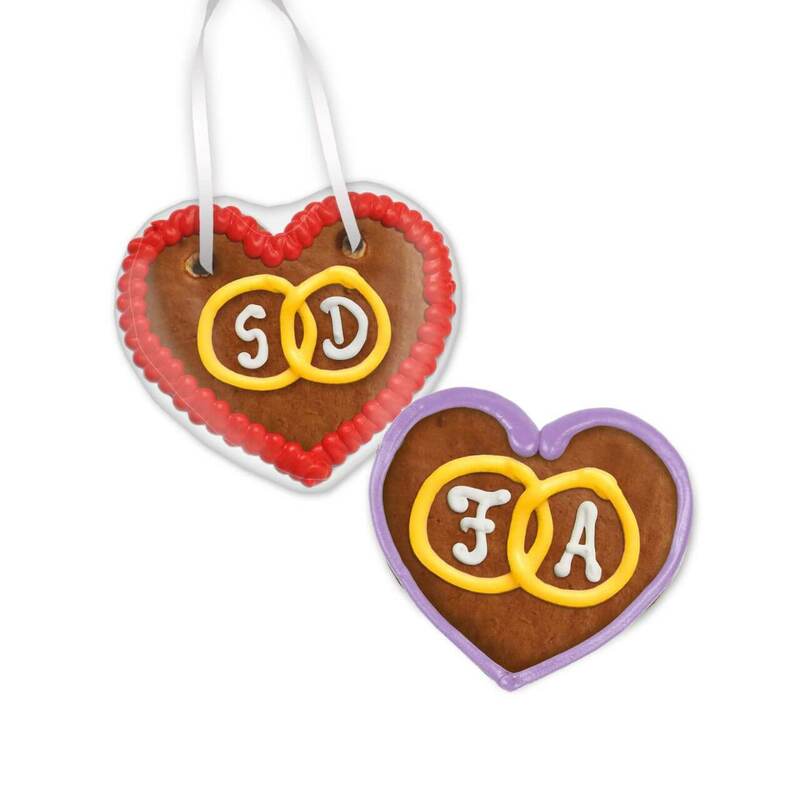 The same Gingerbread heart you know from the Oktoberfest. 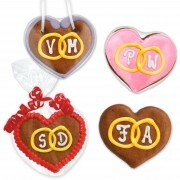 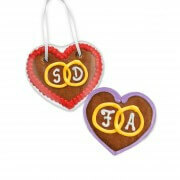 The only difference is that you get a customized gingerbread heart with Your initials and colors of your choice. 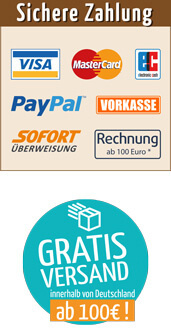 The perfect giveaway for Your wedding. We produce an individual Gingerbread Heart for you!